What if I told you that the Liberal Democrats were back in government? No really, the Liberal Democrats are back in government (well, sort of). Despite finishing fifth in the Welsh Assembly elections and only having one seat, the party has ended up playing a role in the Welsh Government. Following an extraordinary coup attempt by Leanne Wood (supported by the Tories and UKIP), which was only stopped by Lib Dem, Kirsty Williams, the Assembly went into deadlock. The deadlock was finally broken following a formal arrangement between Labour and Plaid. To shore up his government, Carwyn Jones offered Kirsty Williams the position of Education Secretary in the Welsh Government. Following a heated debate, over 80 per cent of Welsh Lib Dems endorsed the ‘progressive agreement’ with Welsh Labour. The agreement supports vital Lib Dem policies such as, reducing class sizes, recruiting more nurses, funding 20,000 extra homes, a new rent to own housing model and tackling mental health discrimination. This limited coalition with Labour comes only 12 months after the disastrous conclusion of the Lib Dems’ experience in coalition with the Conservatives. It’s understandable that some Lib Dems are quite cautious about the agreement. However there are some notable differences between Kirsty Williams’ involvement in the Welsh Government and the previous Cameron-Clegg Coalition. Firstly, this is a coalition of the progressive left. 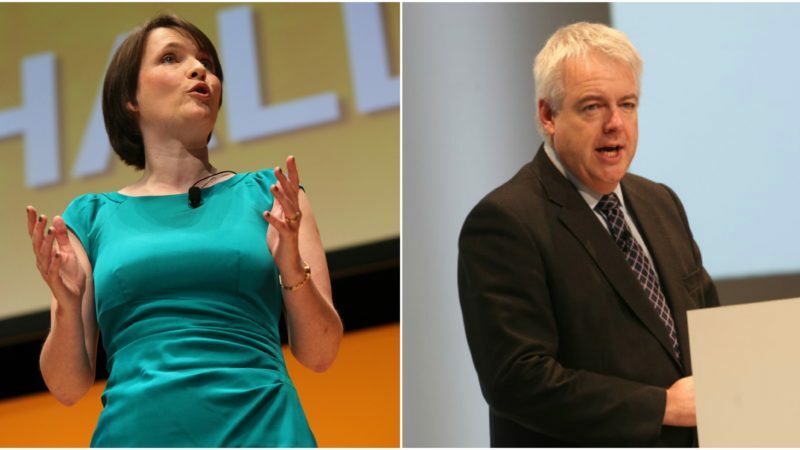 Labour and the Lib Dems are sharing power and their government is supported by Plaid Cymru. The problem that the Lib Dems face in the minds of the public is not that they’re too closely aligned with Labour, it is still that they are too aligned to the Conservatives. Although this belief is wrong, it is essential that Lib Dems win back progressive minded voters. Secondly, following Kirsty Williams’s resignation as Welsh Lib Dem leader following the election results; Mark Williams (the MP for Ceredigion) became the party leader. This has had the unintended side effect of ensuring that the party’s leader is not in the Welsh Cabinet. This ensures that the party continues to have a degree of autonomy, despite serving in a Labour-dominated government. Kirsty Williams is now the head of a major devolved social policy department governing the Welsh education system. During the Cameron-Clegg Coalition years, the Lib Dems never headed a social policy department (such as Health, Education, Work and Pensions and Communities and Local Government). This is despite the party’s strong social liberal heritage. In any future national coalition, the Lib Dems will have to lead a social policy department; education is the best choice given the party’s strong commitment in this field. Williams’s experience running the Welsh education system will be a good case study through which the party can build on across Britain. Any agreement to enter government only months after the party nationally suffered a near-extinction event was always going to come with risks and rewards. The risks obviously being that the party could suffer in Wales at future elections, and be blamed for Labour’s failings. Also the controversial issue of tuition fees may indeed rear its ugly head once again. The rewards however are to show that Lib Dems can deliver good social policies that change people’s lives, and that they are not slaves to the Tories. Perhaps the greatest reward will be to give the party nationally a major morale boost following many difficult months. Kirsty Williams has long been a leading light within the Liberal Democrats and had even been talked about as a future leader of the national party. Ultimately, the decision to form a Progressive Agreement with Labour was a choice between power or irrelevance. The chance to make a difference cannot be turned down, especially when there was a real risk of UKIP having influence over a Plaid government. All progressives have a moral obligation to stop the rise of right-wing nationalists. Overall, this is an agreement that gives the Lib Dems in Wales the chance to detoxify themselves from the Tories and to make a real long-lasting difference in education policy. Kirsty Williams will be an outstanding Welsh Education Security and will revitalise Welsh Liberalism.